All hail Marcella now and forever. 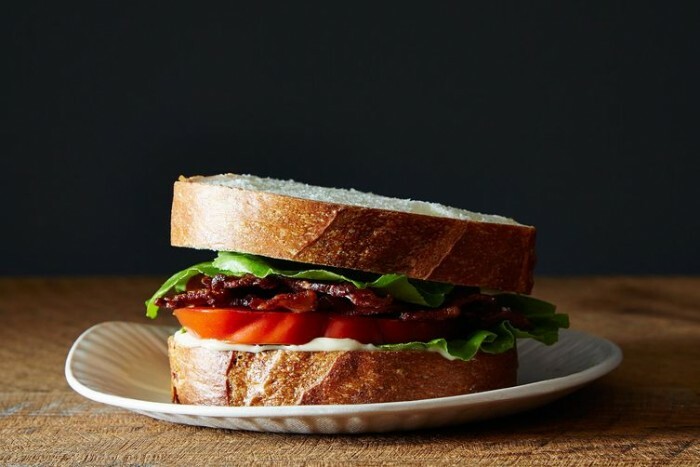 Dan Pashman explains how to build a better sandwich. 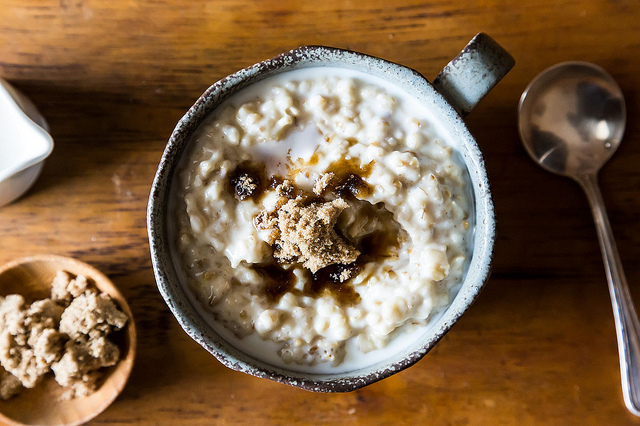 April Bloomfield’s English Porridge is damn good. I’ve made it often this winter. 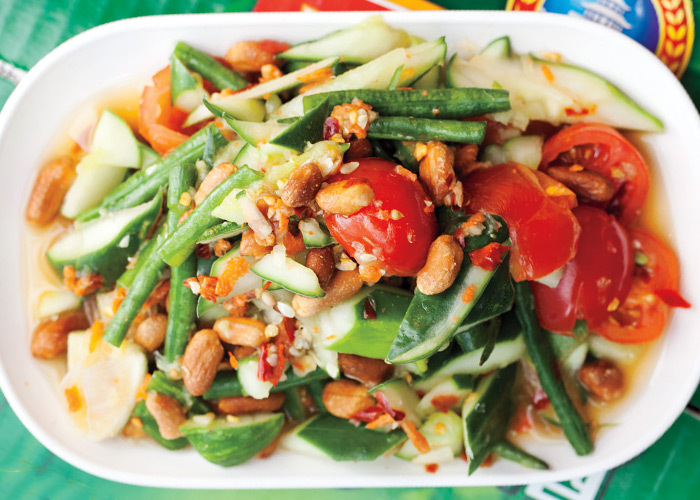 Here’s a step-by-step demonstration of how to make Andy Ricker’s Hot & Spicy Thai Salad. Lemon and chocolate. Sure thing. 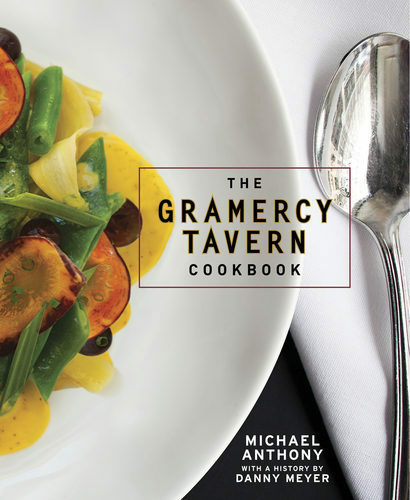 I just got The Gramercy Tavern Cookbook and it’s not only handsome but approachable. Can’t wait to try some of the recipes. 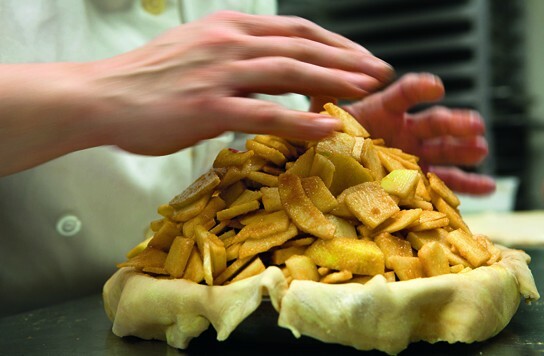 Like this one for apple pie. It’s all about pie this week at the always-impressive Food 52. Everything you need to make the perfect pie. 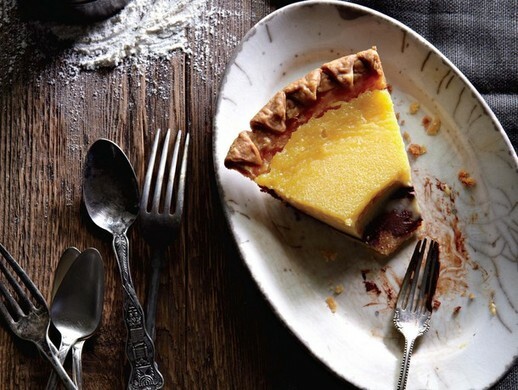 Cook’s Illustrated’s Foolproof Pie Crust. Four & Twenty Blackbird’s All-Butter Pie Crust. Five links to read before baking a pie. Six ways to fancy up your pie. Get the Four & Twenty Blackbird new cookbook. 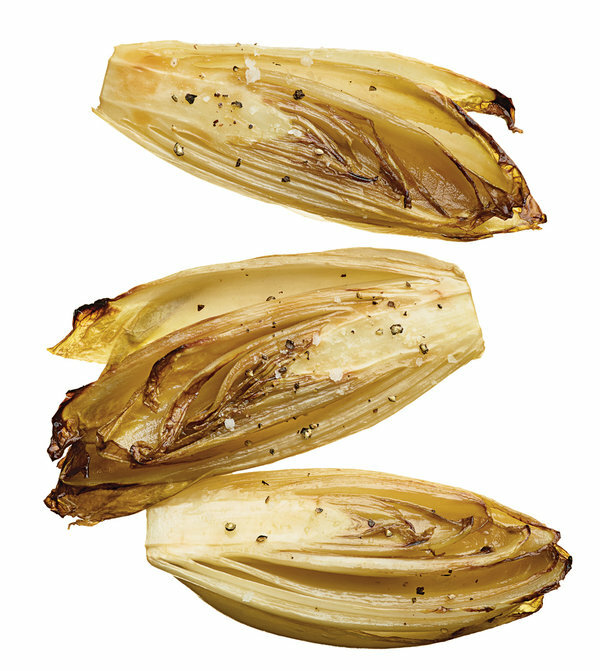 Marcella’s Roasted Belgian Endive recipe. 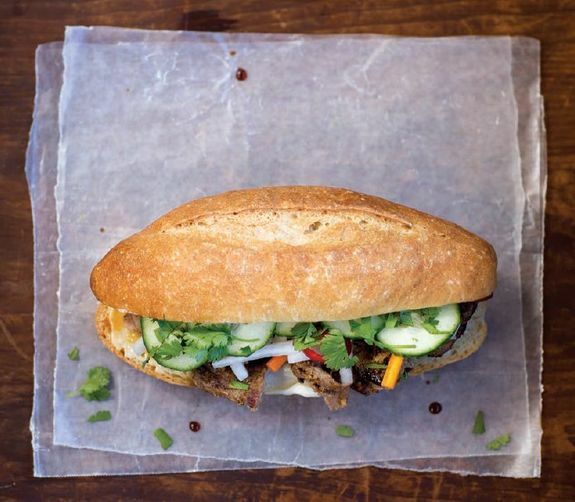 Suzanne Goin has a new cookbook out and it’s not for the weak of heart. I know young people now who play the piano as … one can’t … can’t play it better. But then, when I hear them play it that way, I have my little questions for them. I ask them, when will you start to make music? Music and cooking are so much alike. There are people who, simply by working hard at it, become technically quite accomplished at either art. But it isn’t until one connects technique to feeling, turning it into the outward thrust of that feeling, that one becomes a musician, or a cook. The good Italian cook is an improviser, whose performance is each time a fresh response to the suggestions of an inner beat. 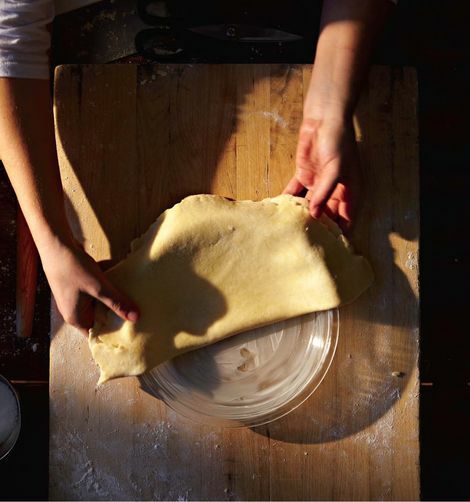 Those who set out to become accomplished Italian cooks have at least one advantage over others—there are no acrobatic movements to execute, no intricate arabesques to master. 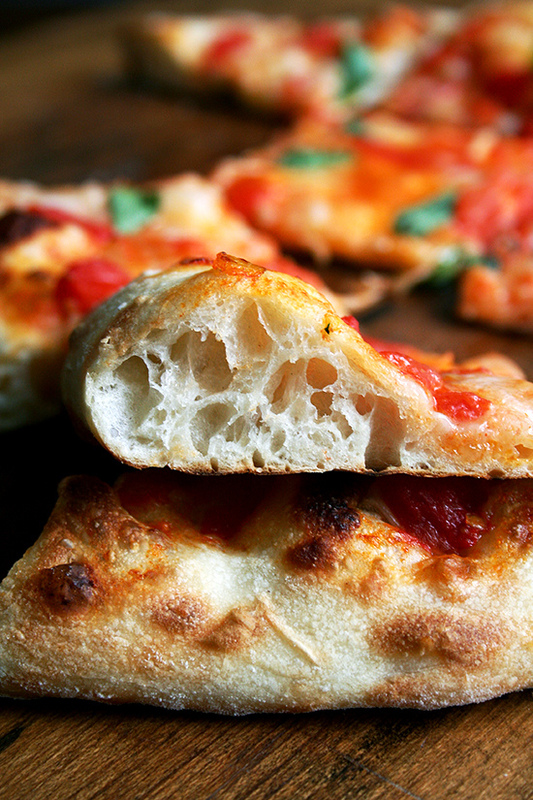 Italian cooking produces some of the most delectable food in the world, with astonishingly simple means. Except for rolling out pasta by hand, an Italian cook does not need to command special skills. There are none of the elaborate preliminaries one may find in other cuisines. La buona cucina is not an exercise in dexterity. It is an act of taste. Taste, like rhythm, may be described, but it does not exist until it is experienced. Carefully annotated recipes are useful because they lead to the re-creation of an experience, they demonstrate what can be accomplished. But one must bear in mind that a recipe is only the congealed record of a once fluid and spontaneous act. It is this spontaneity that the good cook must recover. To attempt to reproduce any dish, time after time, through plodding duplication of a recipe’s every step, is futile and tedious, like memorizing a ditty in some foreign tongue. As the Greek philosopher Heraclitus said, no one ever steps into the same river twice. One does not need to be a philosopher, only a cook, to know that no dish ever turns out again exactly the same. Cooking, like life itself, flows out of the experienced past, but belongs to the unique moment in which it takes place. From one occasion to the next, you will not find vegetables at the identical stage of ripeness or freshness. No two cloves of garlic, no two bunches of celery, no two peppers in a basket have exactly the same flavor, no cuts of meat duplicate precisely the texture and tenderness of those of another day. 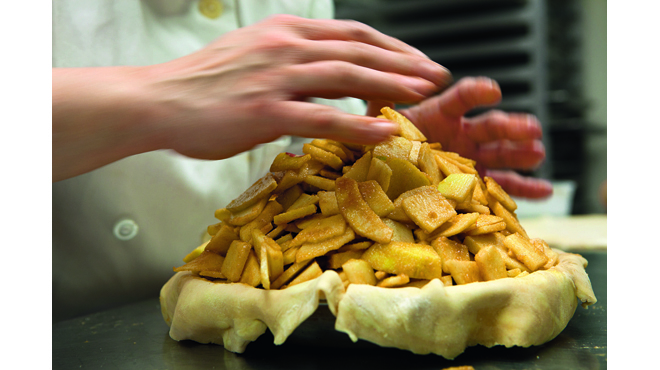 Each time you bring your ingredients together, your own hand falls with a difference cadence. The objective in good Italian cooking is not to achieve uniformity, or even absolute predictability of result. It is to express the values of the materials at hand, and the unrepeatable intuitions of the moment of execution. All this does not mean there are no rules. Of course, there are rules. There is structure to Italian cooking just as there is structure to the music of a dance. The brief suggestions that follow here and the recipes of the book will succeed, I hope, in making you aware of how Italian cooking is achieved. Even more, I hope that eventually the recipes will release you from their grasp, and allow you to cook through the unfettered exercise of your own taste. Once you have understood technique you must stop paying attention to it. You must stop counting teaspoons and begin to cook. 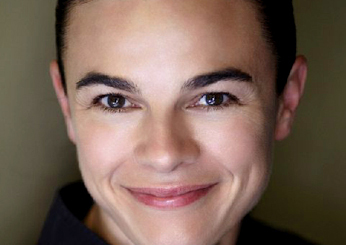 A simple risotto from Marcella. David Leite makes Marcella’s Bolognese. The Marcella tributes are pouring in. Here are a few good ones: from Matt Fort in the Guardian, Janet K. Keeler in the Tampa Bay Times and David Sipress at the New Yorker. I first met Marcella Hazan at Coliseum Books, a store on west 57th street. It was 1978 and I had just returned from a trip to Italy with my husband, Fred. 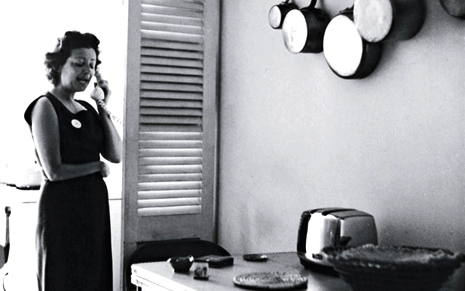 Of course I didn’t actually meet her in person, though I sometimes feel as if I did, but I did meet her through her first cookbook, Classic Italian Cookbook. 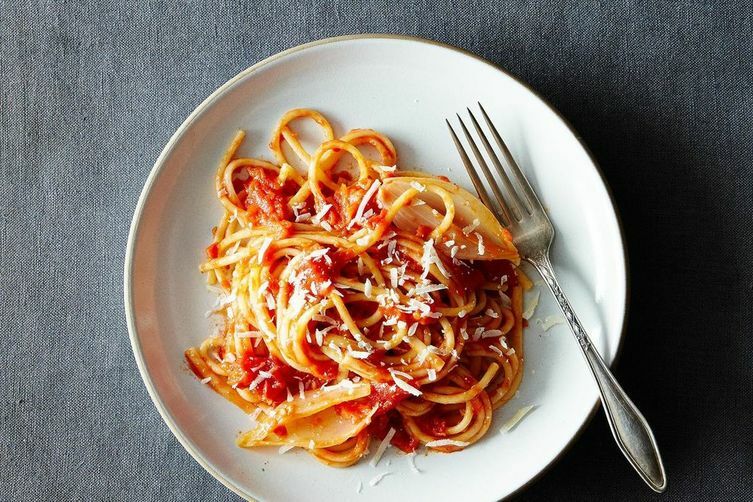 I fell in love with it when I read her recipe for Amatriciana, which was the exactly the one given me by my friend Vicki, who had lived in Italy for several years. And then I saw a recipe for the Fettuccine al Gorgonzola that Fred and I had loved so much when we’d eaten it at Vini da Arturo in Venice a few weeks before. It’s so long ago now that I can’t trust my memory as to exactly how my cooking evolved, but what I do trust is that is that Marcella’s books opened up a new way of thinking about food and cooking. I loved her very strong, opinionated voice (I’m pretty opinionated myself), and I loved the absence of unnecessary complexity in her recipes. 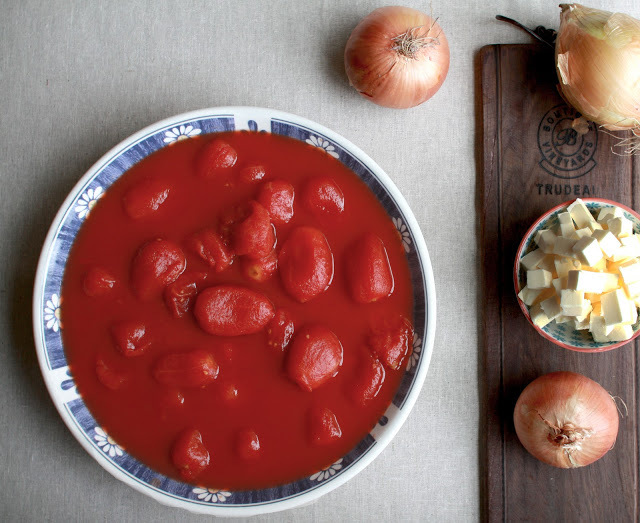 I loved the idea that I could change the taste of a tomato sauce by choosing to make it with only one other ingredient, and then by changing that other ingredient from onion to shallot to ramp, I could make a different tasting tomato sauce each night. In the early books she made menu suggestions for what to serve with a dish and it was from those suggestions I learned to think for myself, to make my own choices and create my own menus. 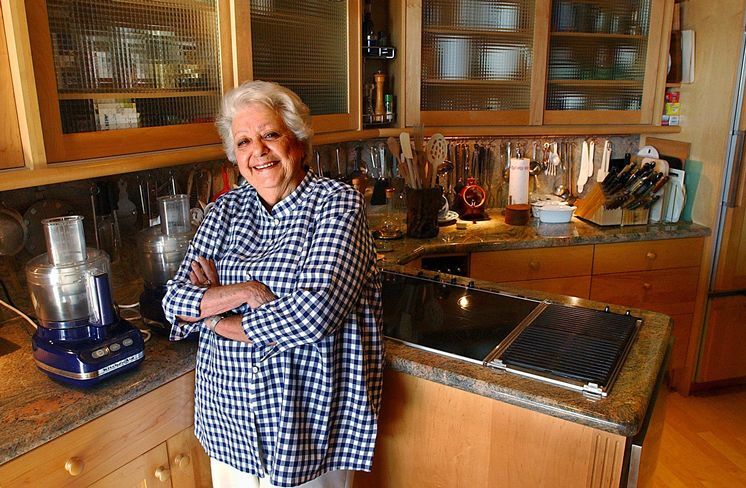 She helped me to learn to trust my instincts to “use my head but [to] cook from the heart.” So cooking for friends and family became, and remains, my avenue of expression and creativity and I thank you Marcella for giving me that. I bought her books and used them and loved what I cooked so I gave them to my family and friends. Today I don’t consult recipes as often as I used to but my books are there on the shelf, broken backed and stained, waiting to be consulted when I need them. 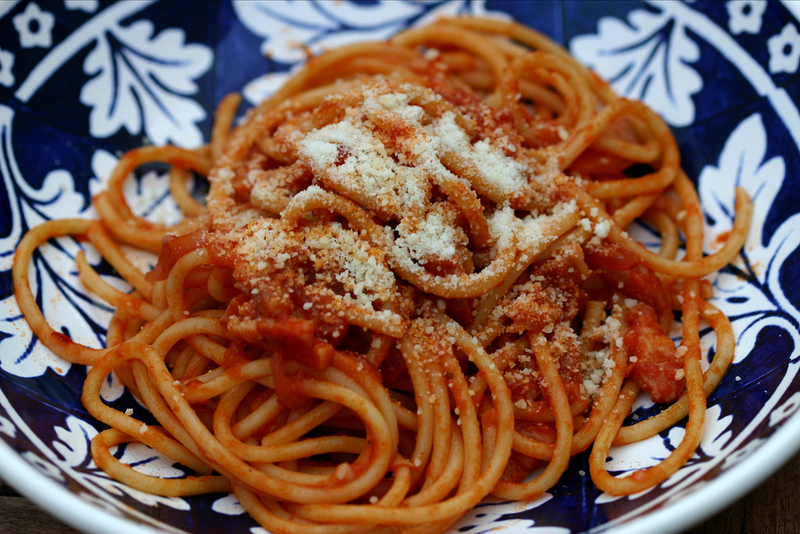 The Roman town of Amatrice, with which this sauce is identified, offers a public feast in August whose principal attraction is undoubtedly the celebrated Bucatini – thick, hollow spaghetti – all’Amatriciana. 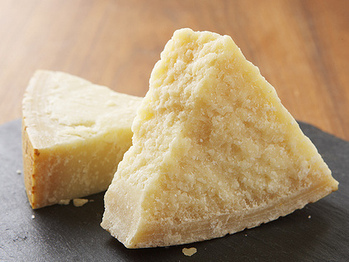 No visitor should pass up, however, the pear-shaped salamis called mortadelle, the pecorino – ewe’s milk cheese – or the ricotta, also made from ewe’s milk. They are among the best products of their kind in Italy. 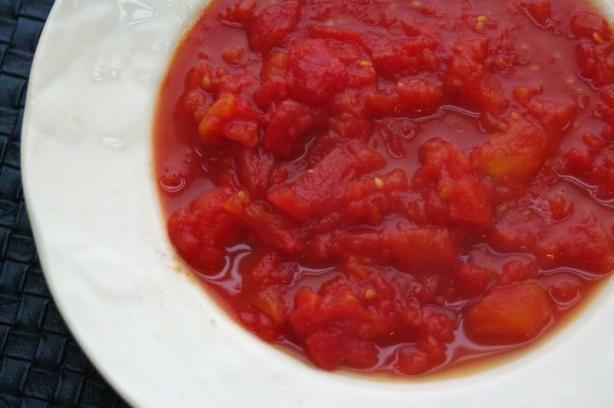 When making Amatriciana sauce, some cooks add white wine before putting in the tomatoes; I find the result too acidic, but you may want to try it. Recommended pasta: “It’s impossible to say all’amatriciana” without thinking “bucatini”. The two are as indivisible as Romeo and Juliet. 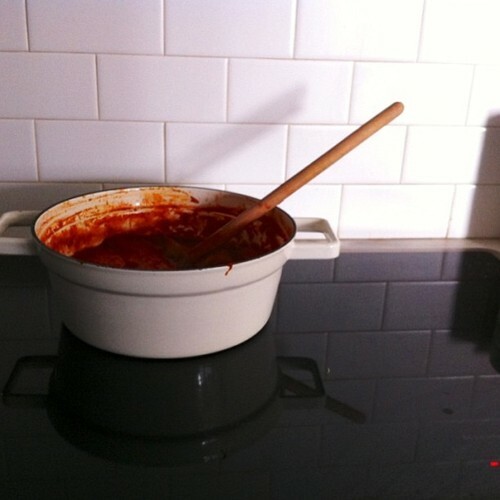 But other couplings of the sauce, such as with penne or rigatoni con conchiglie, can be nearly as successful. a steady, gentle simmer for 25 minutes. Taste and correct for salt and hot pepper. 2. Toss the pasta with the sauce, then add both cheeses, and toss thoroughly again. 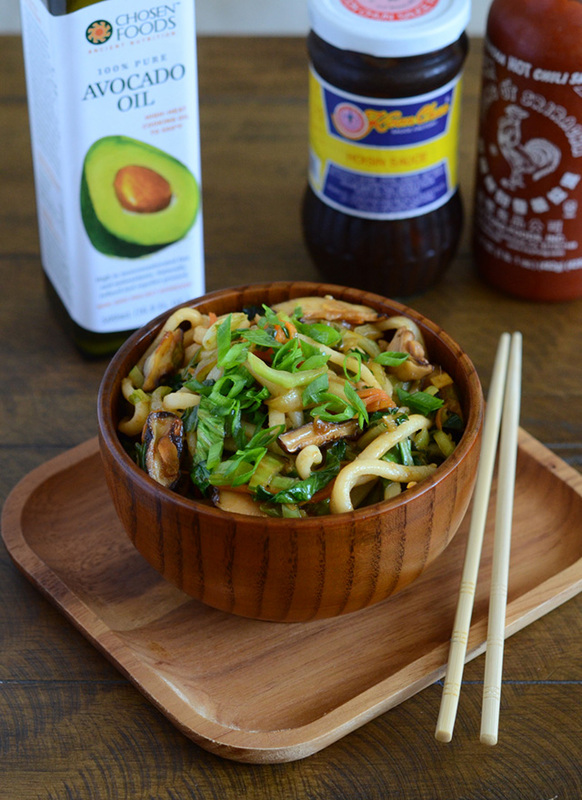 Appetite for China gives Shanghai Noodles. We’ve been through this before. Many times, in fact. But it’s hard to get enough of a classic. 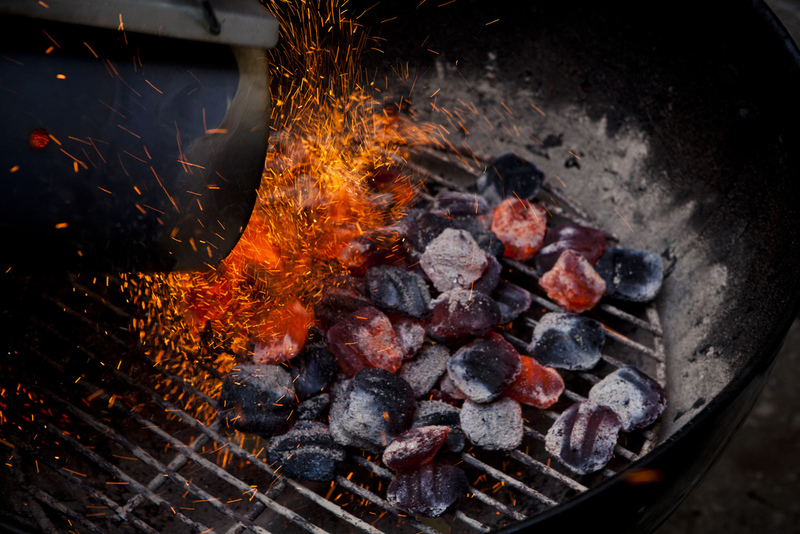 Nicole Franzen on Bon Appetit‘s new book on grilling.